A study of ancient mound builders who lived hundreds of years ago on the Mississippi River Delta near present-day New Orleans offers new insights into how Native peoples selected the landforms that supported their villages and earthen mounds – and why these sites were later abandoned. The study, reported in the Journal of Island and Coastal Archaeology, also offers a timeline of the natural and human events that shaped one particular site, said University of Illinois anthropology professor Jayur Mehta, who conducted the work with Vanderbilt University postdoctoral researcher Elizabeth Chamberlain while both were at Tulane University in New Orleans. Hundreds of ancient mound sites, depicted here with yellow triangles, still survive in coastal Louisiana. A new study teases out the natural and human history of one of these mound-top villages, a site known as Grand Caillou, shown in red. CREDIT : Graphic by Julie McMahon after Mehta and Chamberlain. Ancient peoples began building mounds in North America as early as 4,500 B.C., Mehta said. They often situated their mounds near resource-rich waterways, which could support larger human settlements. As many as 500 people lived at Grand Caillou in its heyday. Some mounds also served ceremonial functions. That so many mound sites have survived in coastal Louisiana is a testament to their careful construction, Mehta said. Neglect, however, and coastal subsidence – the result of engineered changes to the flow of the Mississippi River – are wearing away at the mounds. “Louisiana loses about two ancient mounds and/or Native American villages a year,” Mehta said. The researchers used a variety of methods – sediment coring, radiocarbon dating, carbon-isotope analysis, the dating of ceramics found onsite and a method called optically stimulated luminescence – to figure out how and when the land underneath the Grand Caillou mound was formed by natural forces and when the mound builders arrived and established their settlement. “We wanted to understand at a deeper level how Indigenous peoples of the coast were choosing where to build their villages,” Mehta said. Grand Caillou is situated on a natural levee of the Lafourche sub-delta, one of several major lobes of the Mississippi River Delta near New Orleans. Fed by sediments deposited by the river, Lafourche expanded in size over a period of several hundred years, a process that ended at about 800 A.D., the researchers found. The mound builders set up their village around 1200 A.D., long after the site was stable and covered over with vegetation, the team found. Core samples and excavations revealed that the mound was built in distinct layers, with clay on the bottom, looser sediments piled in the middle and a clay cap on top. This finding confirms earlier archaeological reports that ancient mounds were engineered in layers to withstand the elements. “The way they were constructed contributes to their durability,” Mehta said. 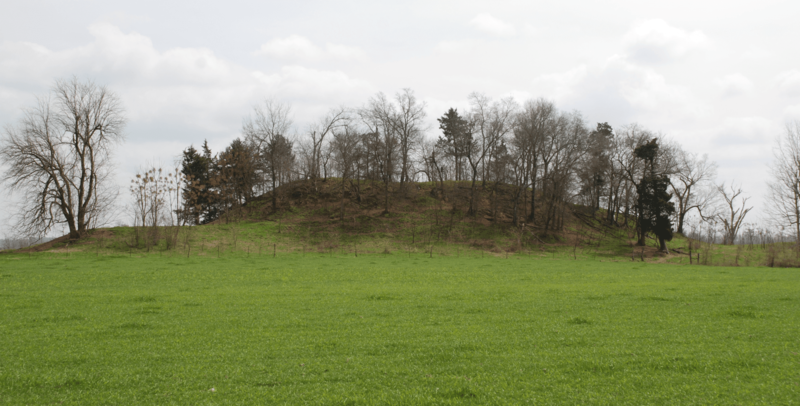 The Grand Caillou mound was built on top of a river deposit that was naturally higher than surrounding land. Ceramics found at the site date to between 1000 and 1400 A.D. Radiocarbon dating of charcoal found evidence that the site was abandoned by about 1400. By looking at ratios of carbon isotopes – carbon atoms with differing masses – the team saw changes over time that were likely the result of saltwater incursion into the area. These changes coincided with the ultimate abandonment of the village site. The new study is a much-needed addition to research on threatened cultural sites in coastal regions, said University of Tennessee anthropology professor David G. Anderson, an expert on U.S. Paleoindian archaeology who was not involved in the research.